“The Patriot” is a blood-soaked, incessantly gory clutter of a movie that tries hard to pass itself off as a noble war epic seethed in family values and national honor, and then expects us not to distinguish its endless contradictions or vast narrative shortcomings. Too bad those aren’t even the extents of the problems. Directed and produced by the same pair who masterminded the summer garbage “Independence Day” and “Godzilla” a few years back, this loathsome, sour and often confusing endeavor sponges off the formulas of half-a-dozen other war films but exchanges the realistic intensity with gratuitous and over-exercised bloodshed. The fact that it uses an event like the Revolutionary war to serve its own warped propaganda gives an extra twist to the knife in our backsides. Others who can excuse these traits will undoubtedly be affected by the film’s other issues, such as: 1) its attempt to use a historical bigot as an inspiration for the fabricated hero; and 2) its pursuit of putting firearms in the hands of inexperienced youngsters. 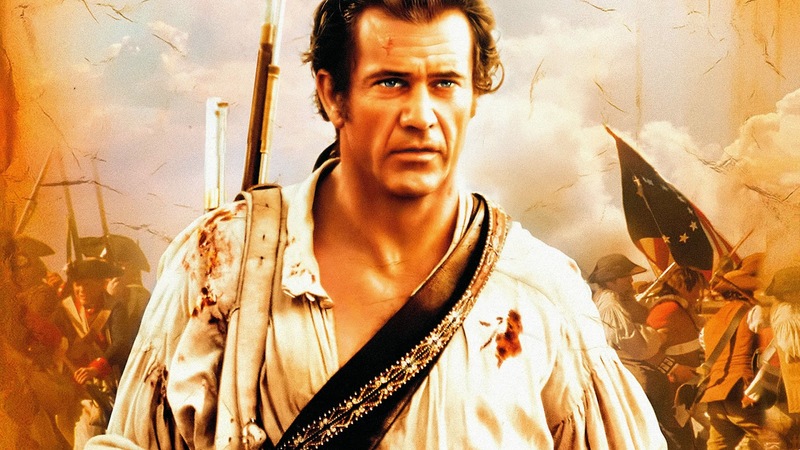 In colonial times when tension escalates between the British and the residents of the colonies, retired soldier Benjamin Martin (Mel Gibson) resists enlisting the army, specifically because he has seven kids to look after. The oldest boy under his wing, Gabriel, however, volunteers his services against the Redcoats. Unfortunately, the war is led directly onto Benjamin’s farm, where Gabriel is apprehended and sentenced to hang, and his older son, Thomas, is shot in the back and killed. Actions this heinous inflame the retired veteran’s urges for payback, and he soon gives up his pacifism so he can throw his own hat into the war and take down the man responsible for his son’s tragic death. The difference between Ben and other soldiers, though, is that he prefers to engage in combat guerilla style; in other words, not on the open land. This setup could have easily inspired breathtaking and eerie battle sequences, torn out of the threads from something like “Braveheart” or “The Last Of The Mohicans,” but sadly, “The Patriot” doesn’t seem to care who gets killed and how they perish. The intensity and speed of the war scenes undermine the concise cinematography, and are sometimes so frequently seen and staged that they have no relevance to the plot’s further advances towards a climax. Mel Gibson, who won an Oscar for his magnificent “Braveheart,” looks uncomfortable as Benjamin Martin because the script has little use for dialogue that could help the characters develop, and action that not even William Wallace could have managed successfully. I am reminded briefly of “Gladiator,” where filmmakers used a similar undertaking as seen in “The Patriot,” using revenge as an excuse to keep the main character on his feet. But whereas “Gladiator”s justification was appropriate for the material, “The Patriot” supplies us with reasoning that is in one way excusable, but in other ways not. Take the fact into account that Ben has little fear of slaughtering his enemies, sometimes wielding his weapons so swiftly that limbs are tossed to ground in split seconds. Would a man haunted by painful recollections of slicing all sorts of soldiers years ago throughout the first half of the picture have the audacity to repeat such crimes just for the sake of avenging a loved one, especially when they sink to the level of what he hopes his children will rise above in the first place? The script seems to be sending mixed signals. 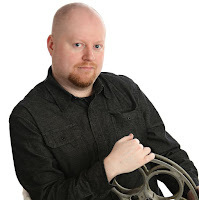 It’s always difficult to approach war material for movies because filmmakers worry that their core focus would only appeal to certain audiences. Who does “The Patriot” appeal to? Hopefully no one, since there isn’t even enough historical subtext within it to deserve an audience. But that’s only secondary compared to the movie’s lack of conscience. By the end of “The Patriot” (which comes after a painful 157 minutes), I was recollecting on movies like “The Last Of The Mohicans,” thinking about how war affects us as human beings and the decisions we make in regards to those we love. Among other things, “The Patriot” doesn’t know what the right decisions are, in regards to both its themes of family and honor and its narrative structure.